LOGO asked us to help them refresh their on-air identity. 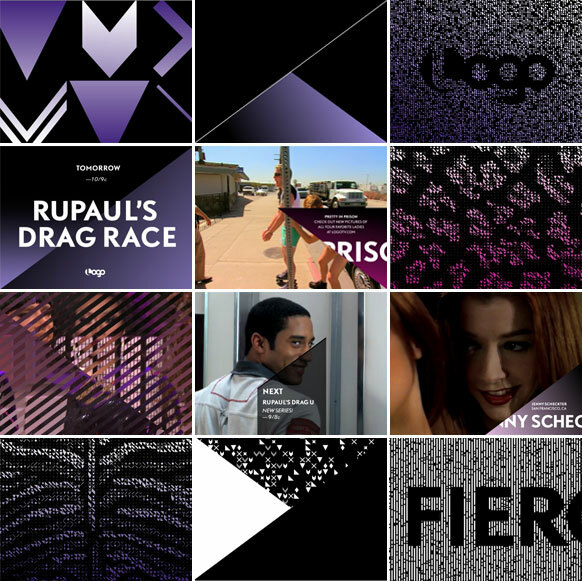 We developed a graphic palette in which geometric shapes collide with animal prints to become a new skin for the channel. The diagonal slash, a visual intersection, activates LOGO's redesigned navigational system giving it a sharp style and irreverent attitude. Patterns emerge and gradients slice through the screen revealing LOGO's messaging and bold typographic palette. Animation: Alec Donovan. Take a look at the identity system HERE.